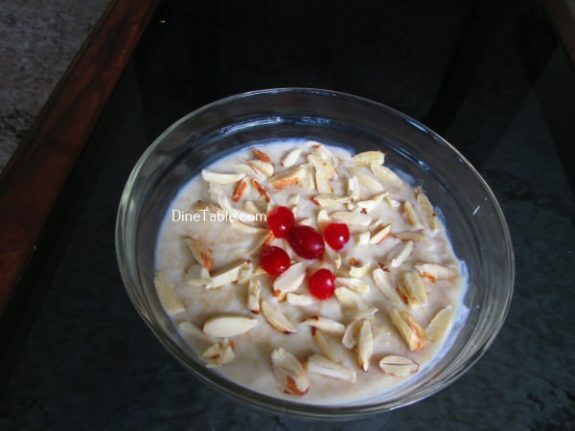 Oats Kheer is rich, creamy and extremely delicious dessert recipe. 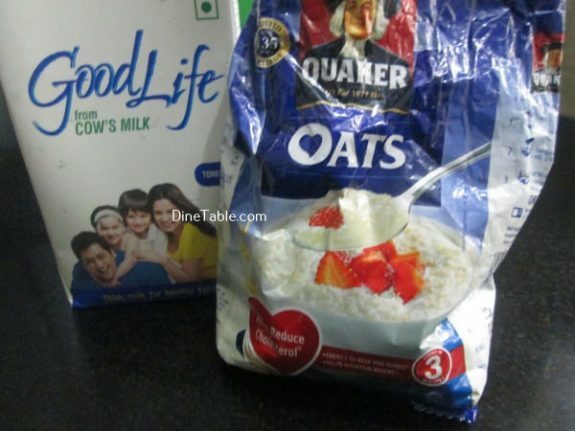 It is so simple and requires very few ingredients like oats, sugar and milk. 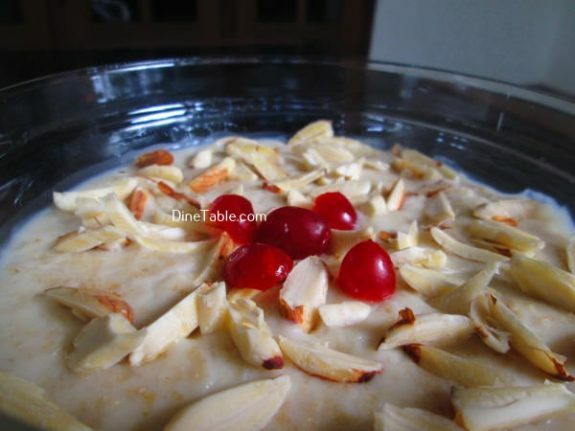 It is very healthy and easy to make dessert. 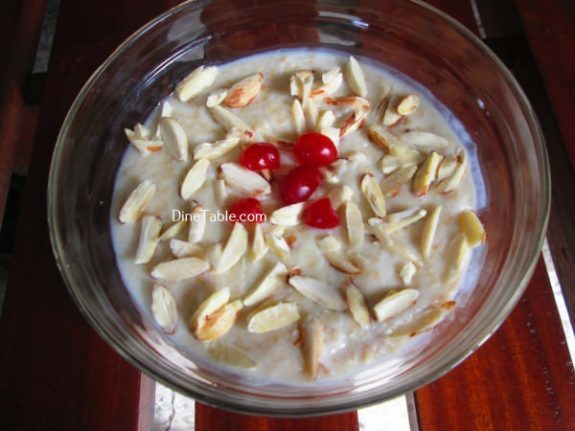 Oatmeal is a cholesterol-free food that is low in total fat and saturated fat. 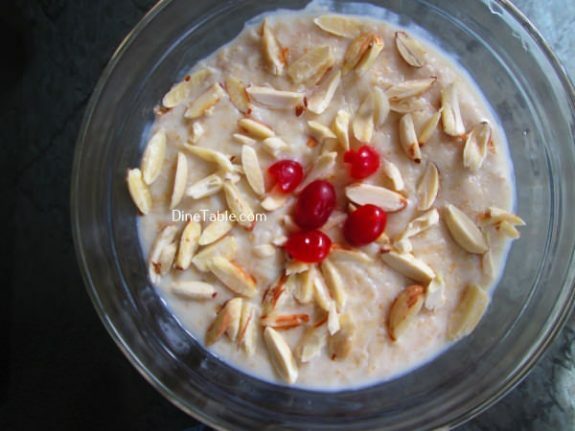 Oats has soluble fiber which helps to remove the cholesterol from your body. 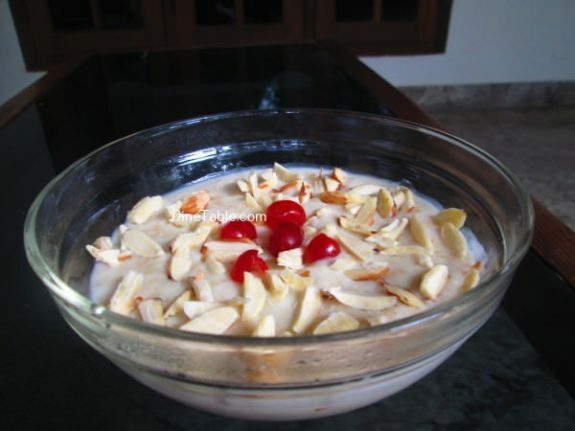 It is also a rich source of insoluble fiber, which helps in regulating bowel movements and hence prevents constipation. Try this yummy Oats Kheer at home. 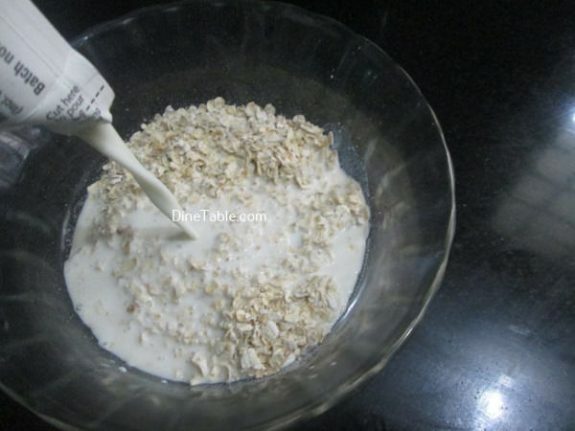 Take a bowl and add oats in the milk and soak for 25 minutes. 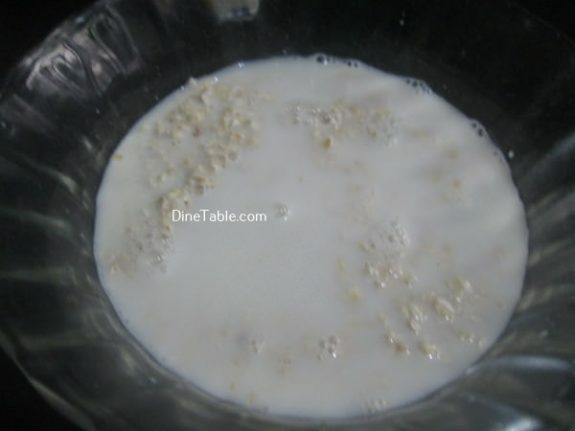 Add sugar and salt into the soaked oats and milk and boil it. 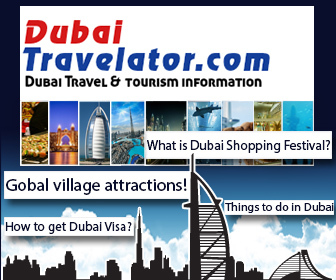 After boiling, reduce the flame and cook on low flame till it becomes thick. Stir frequently while cooking. Keep it aside. Heat ghee in a pan and roast raisins and cashew nuts. 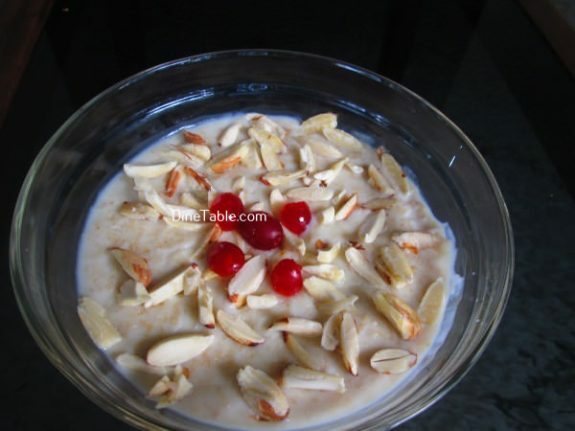 Add this along with the ghee into oats kheer. 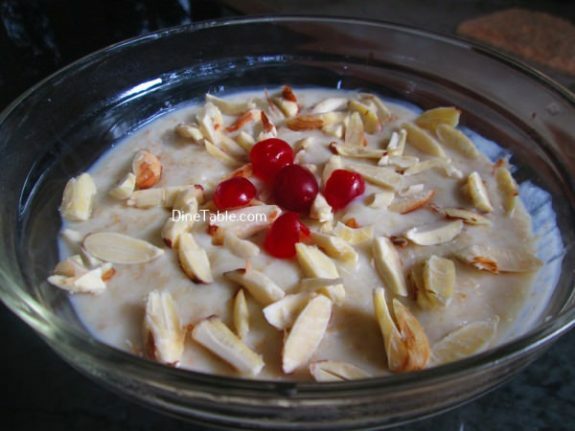 Yummy Oats Kheer is ready.